...and create two loose-fitting woman's tees! My friends, and some of you, are expressing surprise that I am still sewing. To tell you the truth, I feel like I'm doing less and less, but I've been due some time off work recently and have chosen to dedicate that time to sewing. Rather than, say, hoovering, or you know, getting organised for the baby coming. So here are a couple of refashions that I rustled up yesterday afternoon. Each one took probably about an hour and half to complete, and most of that was trying on, adjusting, trying on adjusting, trying on, adjusting. Sorry, I forgot to take "before" pictures, so you'll just have to use your imagination on those. 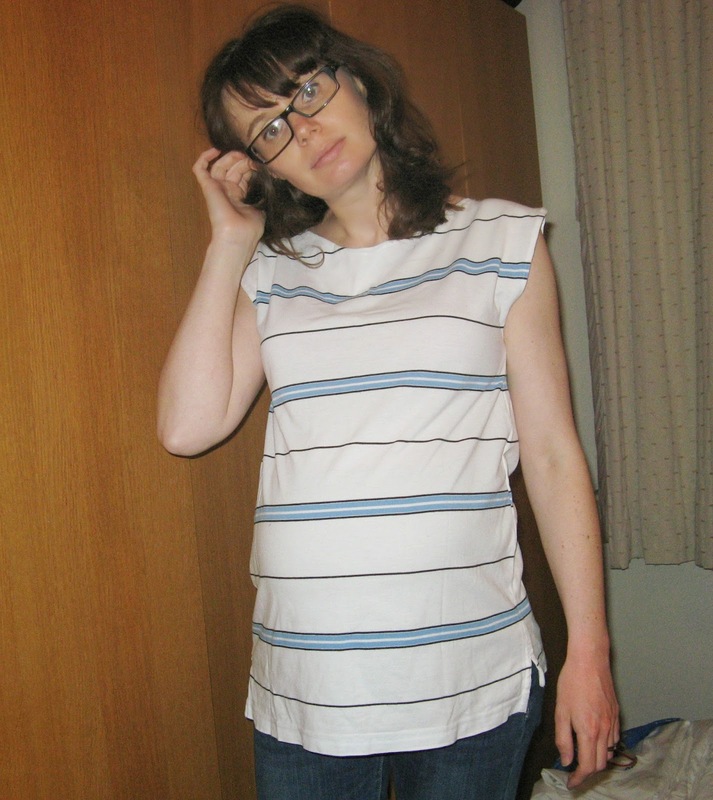 I've had this tutorial from Cotton and Curls pinned for ages, and I've also had 2 of my husband's polo shirts in my refashion pile for nearly as long. I think I put these off because I was scared of getting them wrong and therefore "wasting" the polos, but then it dawned on me that they would just be going in the bin anyway, so what did it matter. I made this one first using a Gap polo shirt, in a lovely stable cotton with very little stretch. I particularly love the colours. I'm really really happy with it! 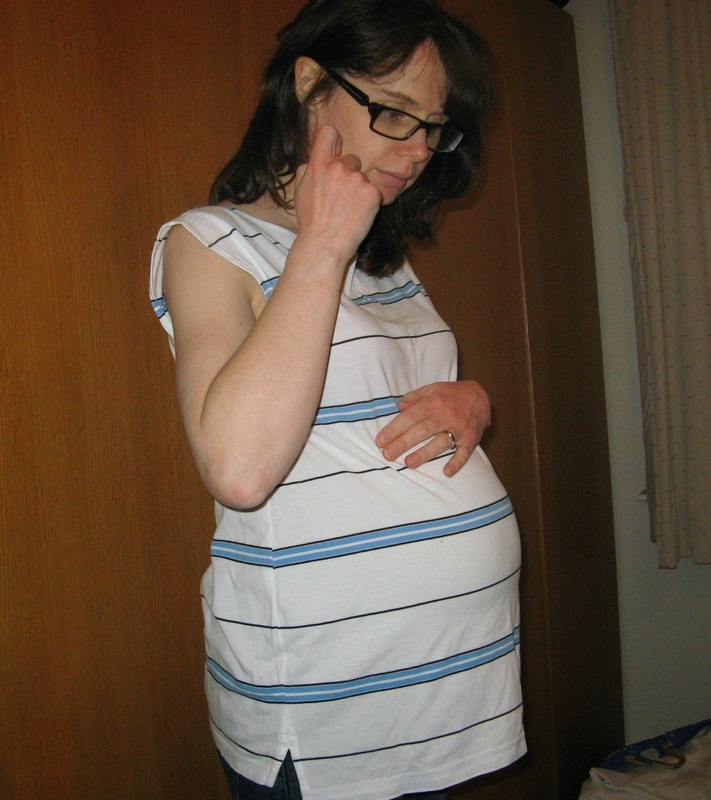 I don't know how much longer it will last me, as it's already a little tight over the bump (what can I say, I have a thin husband, so his shirts are not particularly oversized...), but it will work well post-pregnancy. I think my only change was that I didn't curve the bottom. I wanted to, as I think that would be more flattering, but the polo suffers from having twisted side seams as a result of having been cut off-grain. I figured any shaping would make this even more obvious, so I opted to leave the finished hem of the polo. Once less thing to do! I'm not convinced it looks right, but I'm unsure what else to do with it. Any suggestions? As per Liz's suggestion, I changed the original buttons, which were grey, for something brighter. I had 3 turquoise buttons in my stash and they match perfectly, picking out the smaller turquoise stripe. When cutting the neckline, it's actually easier to first sew up the button placket. Even if you don't plan on adding more buttons, I'd still do this, as it just keeps the neckline more stable. If you plan to change the buttons, remove the old ones before you sew up the placket. It just makes it easier. No pesky buttons in the way of the presser foot! I top stitched the front of the placket closed, and then slip stitched the inside part closed. When top stitching the placket, start from the bottom and work towards the neckline (ensures it all matches up correctly - same principal as when inserting a zip!). It would probably be helpful if you could copy the desired neckline from an existing tee, but if you do, remember to add 1/2 or so seam allowance. If you don't want to copy from an existing tee, start with a small amendment and keep trying it on and trimming a little at a time until you get your desired neckline. Again, remember seam allowance! When sewing the sleeves, start from the cuff and work towards the "bodice". This ensures your cuffs match up nicely. When sewing the neckline, there will be a LOT of bulk at the placket. Where possible, I trimmed some of this away and my machine still struggled. Liz added additional buttons but didn't say what to do about the lack of buttonholes. I considered making a third buttonhole, even if it was non-functioning, because my buttonholes had contrasting thread, but in the end didn't bother. As I sewed the buttons on with contrasting thread, I don't think it matters too much. My polo had a pocket. I decided to leave this in place, but top stitched the top closed. Having a functional pocket on the back seemed slightly weird. I loved this so much, I had to make a second, straight away! Talk about instant gratification! I didn't want 2 tees that were identical in shape, so I drew inspiration from Miss P's recent tutorial, and cut the sleeves off, to make a kimono style sleeve. For this, Portia's tutorial is really comprehensive so I have nothing to add. My drop sleeve isn't quite long enough (again, the curse of the narrow husband), so it kind of sticks out, but you get the idea. I decided to keep the neckline higher on this one. In fact, after removing the collar, I didn't alter the back (original front) neckline at all, and cut the front (original back) neckline to match, widening the neckline as I went to give a kind of bateau neck look. This one is an Old Navy polo, again in 100% cotton, this time with zero stretch. I don't like this one quite as much. The fabric is a bit stiffer, which doesn't work so well with a pregnant tum, and it makes the sleeves stick out. Plus it's mostly white which is a colour I usually avoid like the plague! I will still wear it though, and again it will serve me well post-pregnancy (assuming it doesn't show the baby puke too much!). I don't yet have buttons for this. I did consider some gold anchor buttons from my stash but they didn't look quite right. I think I want a real contrast - mustard or orange - as per Liz's original tee, and I don't have anything like that in my stash, so will need to buy some when I next get a chance. 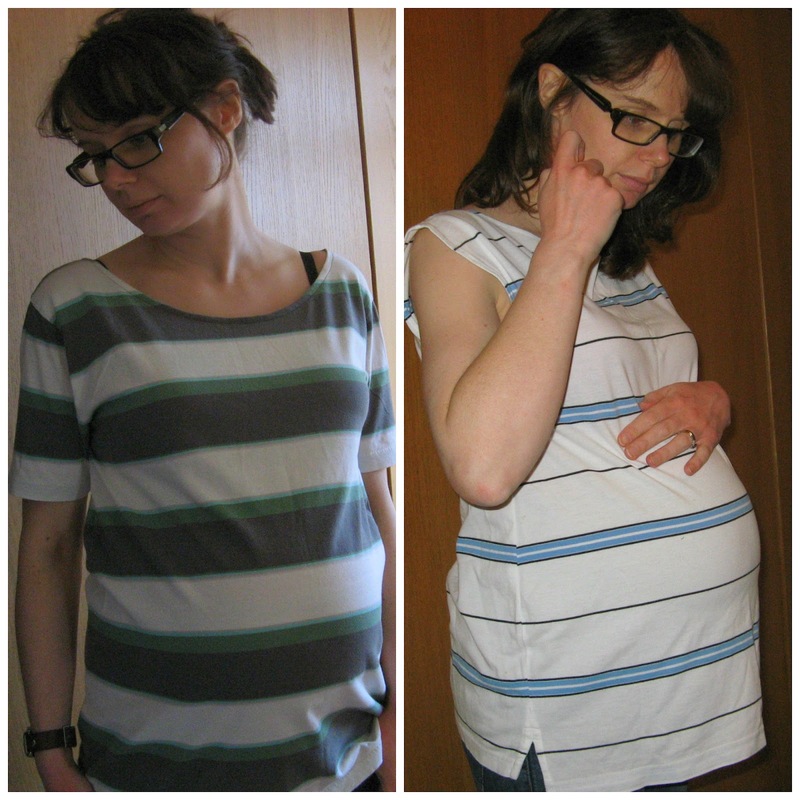 Pregnant or not, this is a refashion that is really quick and easy and looks great! 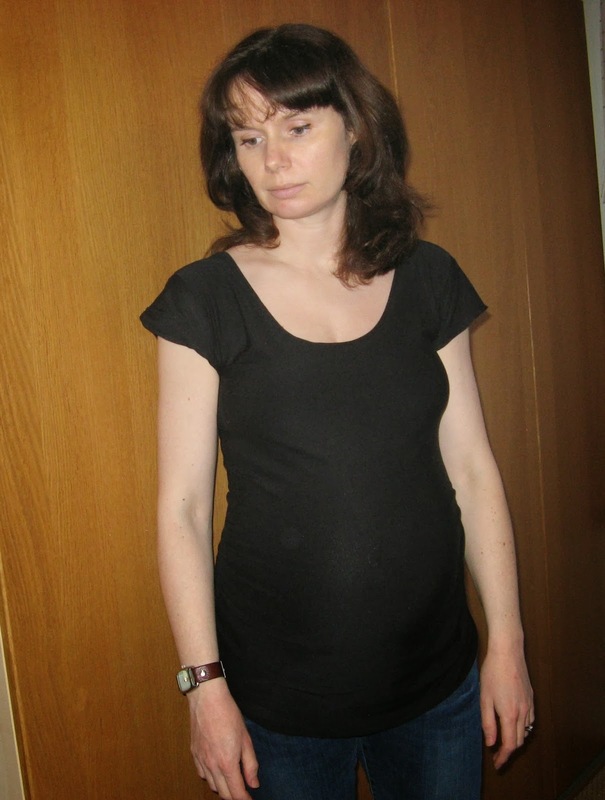 If not pregnant, you can just take the sides in more, to make it as loose or tight fitting as you prefer. Definitely worth a try! *Injuries sustained whilst sewing: 1 giant scratch to right arm! Weird facial expression! And I have no idea why I chose to use the broken fence part of the garden as a backdrop! But this isn't colour blocked, it's black, I hear you cry. Well... (drumroll)... Tah dah! Confession: this is only colour blocked because I didn't have any matching ribbing. I actually really like it, although it doesn't particularly go with this t-shirt. There is not really too much to say about the construction of this. It's a basic gathered skirt in jersey. I used the full width of the fabric, overlocked both selvedges together to create a tube. Made a quick "yoga pants style" waistband using a tutorial by Melly Sews*, out of the ribbing . Gathered the skirt to fit the ribbing, zig zagged and then overlocked them together. Despite my not particularly straight stitching, I'm rather proud of the insides! The waistband fit isn't great and it falls down a bit - the ribbing seems to stretch out, despite the fact that is should have good recovery. I bought it from Kitschy Coo, who recommended it for just this purpose. It's her organic ribbing in dark ink, and the jersey is a viscose mix from The Cloth Shop in Edinburgh. I wore it on Saturday, which featured a fairly high level of sitting, and still it slipped down. I did follow the tutorial, measuring my waist (or, in my case, hip), and subtracting 1.5inches. I then removed another inch, but I think it could have stood to have lost another 1 or maybe even 2 inches. It hasn't actually fallen down (I think it catches on the waistband of my tights, which stops it going any further), but it doesn't feel very secure. Options? Take it apart and take it in? Take it in, down the waistband and the skirt (thus losing my nice insides though)? Adding elastic somehow (to the seam allowance which joins waistband to skirt?)? I have opted to wash it. It occurred to me that I didn't prewash either the ribbing or the jersey because this was a bit of an impulse make, so that might shrink it back a bit, but I suspect that one of the other methods mentioned above may need to be deployed. Apologies for creasing - I did say I did a lot of sitting that day! It's not necessarily a biggie, but I had bought the ribbing specifically to convert a pair of normal jeans into Mat jeans and I'm now not convinced it will work. This is a good, if unexciting basic. I plan to make more MN ruched tees and needed something to wear them with. It will work for work and for casual, which is important now, as I only have 2 weeks left of work. My head is still fizzing with maternity ideas that I want to make, but I've had to come to grips with the fact that I have neither the time, nor the energy to make these. At 32 weeks I am now bored with my limited maternity wardrobe, but with only 8 weeks to go, there is little point in stressing myself out making items that will have a very short shelf life. Thus, no more dresses. This is a shame as I have both the Lady Skater and the Washi patterns purchased and printed (LS is even taped and cut out, with the perfect fabric bought), but I need to consider how much wear they would get. I could (and would, given my energy levels) spend a couple of weeks making one of these, and once the baby is born, 6 weeks later, it would be effectively useless. 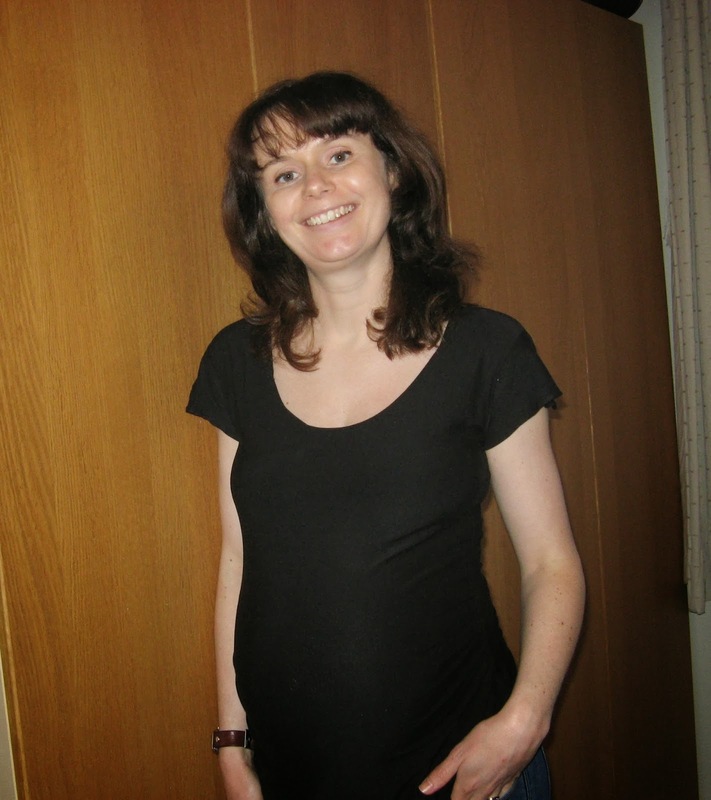 I plan to breastfeed, which means my post-natal wardrobe will be separates all the way. Hence the skirt. I had a half day's holiday last Friday, and whipped the skirt up in a couple of hours - it would have been a lot less but it was the second make of the afternoon and I had to keep stopping and starting to accommodate 2 lots of dinner (Small Boy's and ours) - I sew at our very small dining table, which means it all needs to be packed away and brought back out before and after each meal. The first make of the afternoon is actually not yet finished. It's another skirt, but in a woven, so i just need to hand sew the hem. It's very similar in construction however I made a jersey waistband and I'm already wondering if this will be even worse for stretching out... time will tell! * For some reason, my work laptop's firewall won't access Melly's blog, but you can Google "Melly Sews yoga pants waistband tutorial" to get there. 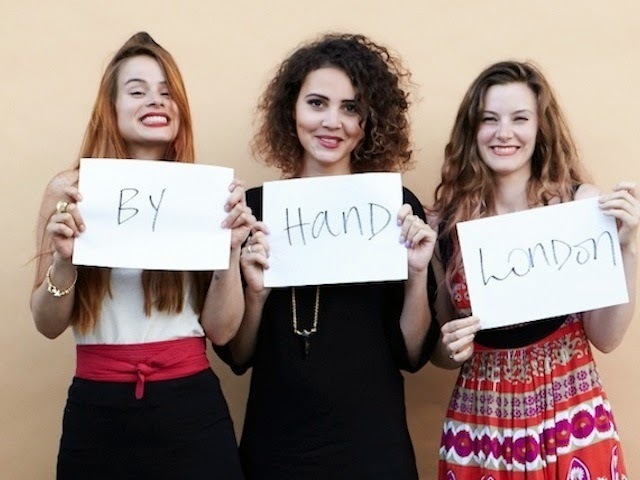 Did you see the very exciting announcement from By Hand London at the end of last week? 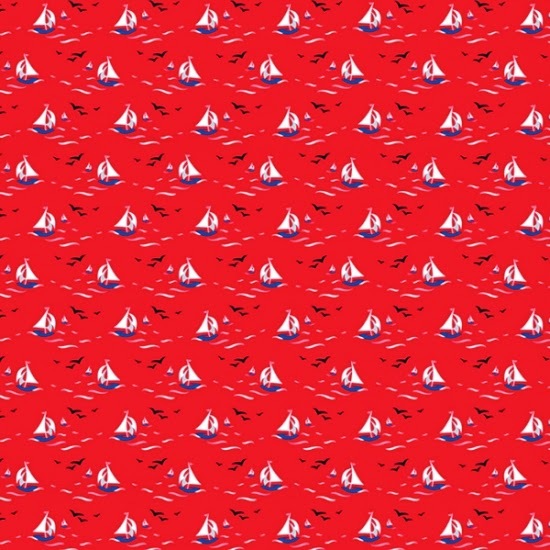 Not only are they now selling their first purpose designed fabric, but they are planning on moving into digitally printing fabric, that will be designed by... us! 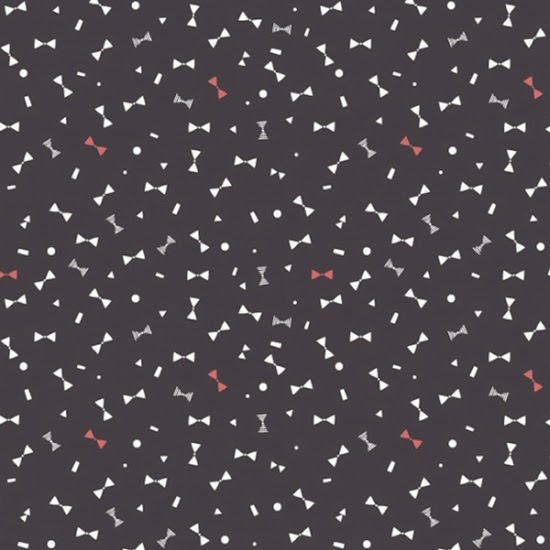 Despite the fact that I have no idea how to even begin designing my own fabric, I am really excited about this! I have previously written about my frustrations in finding the "right" fabric for a pattern, so it would be ideal for someone like me - if I actually had a creative, artistic bone in my body, that is! Still, my hope is that, like on Spoonflower, other people will come up with the goods and I'll be able to benefit from their talent, with the knowledge that it will be printed in the UK, and that I won't need to pay for delivery from overseas, or be concerned that I might be slapped with some ridiculous tax fee! 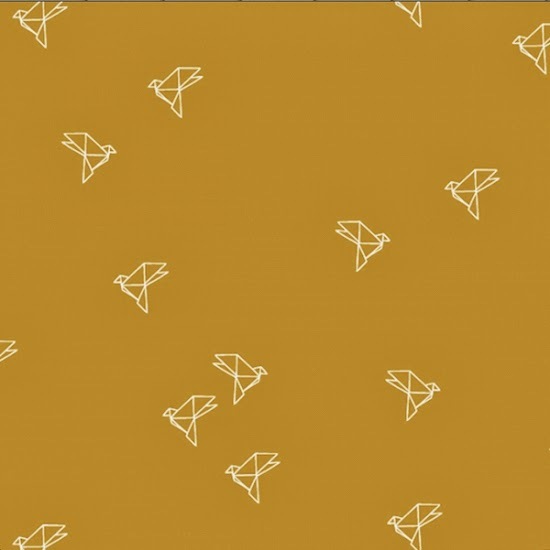 I was also excited to learn today that Guthrie & Ghani (the shop run by Lauren, finalist in GBSB season 1) is now selling Atelier Brunette fabric. I have lurked their website many times since discovering Jolie Bobines's blog. If you don't know Jolie Bobine's blog you should go check it out right now. Go on. I'll wait... Oh, you're back. Isn't she amazing? She makes the most beautiful garments and I covet every single fabric that she uses. All of which she purchases in Paris. However... now we can buy some of them here too! Hurrah! Thanks to everyone for indulging me in my last couple of posts, and I'm glad you enjoyed reading about the mill and the museum as much as I enjoyed visiting them! So, onto another maternity make. This was the FO I was hoping to feature in Sew Grateful week the other week, as my finished project, but I only managed to finish last Sunday night and it's taken this long to get round to photographing it! 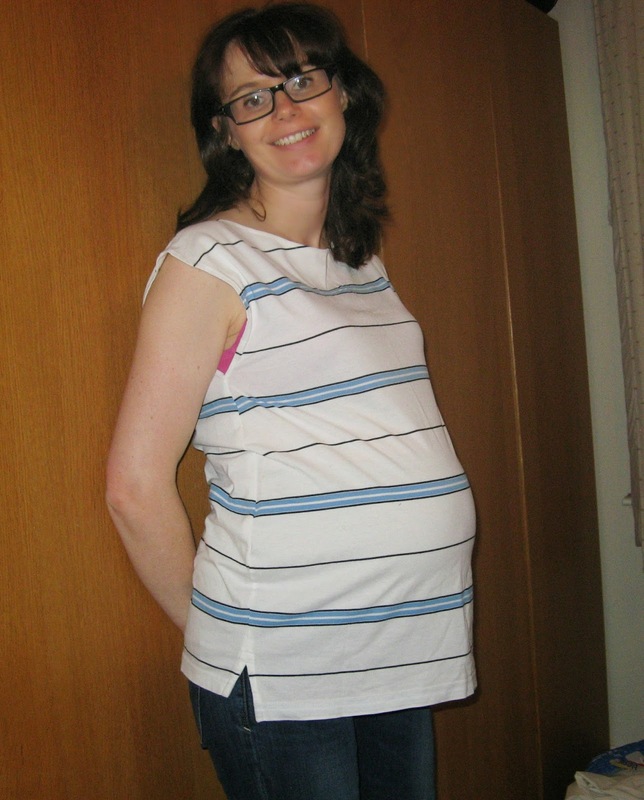 This is the Megan Nielsen Ruched Maternity Tee. The reason I am grateful is that my Mum and Dad gave me the pattern for my birthday, which was at the beginning of December. They also then gave me cash for Christmas to buy some fabric to make it up. This is not the fabric, as this top is more of a wearable muslin. I was unsure what size to make, or how it would go together, given I don’t have much experience of knits, so I didn’t want to ruin any fabric that my parents had paid for. Having now made this, I am wondering why I left it so late in my pregnancy. However, having said that, this make was not all plain sailing. The fabric is black viscose mix knit that I bought in Mandors in Glasgow at the Blogger Meet Up last month. I actually bought it to make something else, but the stash fabric I had in mind for this tee wasn’t stretchy enough – the pattern calls for fabric with at least 40% stretch. I have no idea how you measure stretch, and I’ve never seen percentage stretch on any product description or label, but the handle of this was really stretchy and drapey, so I thought it would be close enough. It’s also lovely and soft and really nice to wear. I was unsure on sizing because when you buy maternity RTW, you are usually advised to purchase your pre-pregnancy size, and the pattern didn’t state whether the same logic applied here. I decided to go for my maternity size (my current bust size), reckoning I could probably always just increase seam allowance to size down if need be. This is a really basic pattern, so that logic probably would have worked, but in the end there was no need. The pattern is only 3 pieces – front, back and sleeve. Nice and simple, and I was able to cut this from 1 metre of fabric, albeit the fabric was about 170cm wide I think. I would have preferred a ¾ sleeve, but only had enough fabric for a short sleeve. I more or less followed the instructions as given. I used clear elastic to strengthen the gathers on the side seams, as advised. I did the same on the shoulders, although this is not mentioned in the pattern. My first time using clear elastic. I would have liked to have used it to gather the side seams, but didn’t know how to work out how do this, so that the front was then gathered enough to match the back in length. When doing the shoulders, I tried to overlock the elastic in place at the same time as sewing the shoulder seams, but this didn’t work that well, as the elastic moved around a bit, so for the side seams, I simply sewed them up as normal, then attached the elastic to the seam allowance using a 3 step zigzag afterwards. After overlocking my shoulder and side seams, I realised that my seam allowance was off, so in the end, I also sewed these seams at 5/8 inch using a lightening blot stretch stitch (yes, I have one!). I know some people make knit items fully on an overlocker, so I assume they trim off the seam allowance at the same time. But how do they measure their seam allowance? I have some markings on my overlocker, but they don’t seem to bear any resemblance to the usual seam allowance markings on a sewing machine. It was only after doing all of this, that I realised I had sewn my garment with the fabric wrong side out. Luckily, it’s a black knit, so it’s really not obvious. Certainly not obvious enough to justify unpicking all that work, but it does bug me a little bit. Next up the sleeves, which is where the trouble really started. I was a little surprised that the sleeves were to be inserted in the round on a knit (some reading had lead me to believe knit sleeves are usually inserted flat), but this was my first ever knit sleeve so I was happy to give it a try. The pattern didn’t mention gathering and easing it in, so I thought it probably didn’t matter either way. The sleeves went in no bother – in fact if anything the sleeve head felt a little smaller than the arm scye, but I managed to insert it first time with no problems. Both sleeves were the same. It wasn’t until I went to hem the cuffs that I realised I had in fact SET MY SLEEVES IN UPSIDE DOWN! In other words, I had sewn the cuff to the arm scye! Now, that mistake was probably 75% baby brain and 25% tiredness, but all the same – I shouldn’t be able to do that, should I? Surely the cuff would be completely the wrong size and shape? It made me really question the whole sleeve and a bit of googling on this tee proved my hypothesis. The sleeve head is far too big for the arm scye. Furthermore, the sleeve was really big in circumference, making a very loose fitting sleeve – not what the pattern diagrams, or photos on Megan’s blog would have you believe. Is that because I inserted it upside down? Surely not – surely circumference is circumference? Anyway, I didn’t want to have to unpick teeny tiny black stretch stiches on black knit fabric, so decided I had to “make it work” in a Tim Gunn voice. I cut the sleeve at a right angle to the underarm seam sleeve to get a straight cuff, I would have preferred to have tapered the underarm seam to take it in a bit, but with what was now such a short sleeve there wasn’t enough to work with, so I just left it as is. Instead of the drafted ½ inch hem on the cuff, I turned up a teeny tiny hem instead and sewed it with the stretch stitch again. And the whole thing stretched out. It looked like a really fluted hem. And I don’t like fluted hems. A LOT of steam later, I managed to fix it a bit. I am still not happy with the sleeves at all, but I don’t hate them enough to unpick them and start again, so I’ve just gone with it. The bottom is hemmed to ½ inch as directed and sewn with a stretch stitch, and the neckline was turned under ½ inch and again sewn with a stretch stitch. The pattern suggests stitching with a twin needle, but I didn’t have a ball point, or stretch, twin needle and I wasn’t in the right frame of mind to try out a new technique. I have now ordered a stretch twin needle, and intend to use this next time. I really like the lower back neckline. 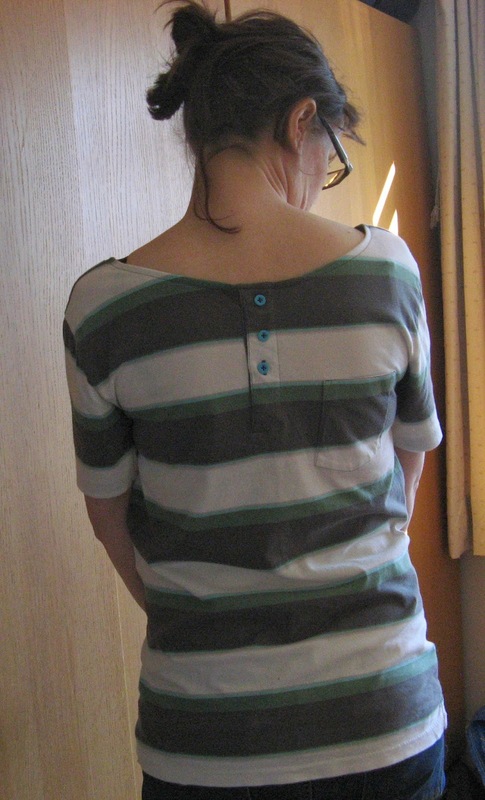 The pattern suggests stabilising the neckline with Stitch Witchery before turning and sewing. I really debated this one. I couldn’t find Stitch Witchery in Mandors or the Cloth Shop on Saturday, and I was worried that without it I would stretch out the neckline. Also the neckline is very low and I wasn’t sure I wanted to lose another ½ inch (see my maternity bra concerns in this post), so I did briefly consider cutting and attaching a binding at the neck. But then, that would have involved maths and thought and I was tired and had already messed up the sleeves, so I just went for turning the neckline without the Stitch Witchery, took it slow and hoped for the best. It’s actually not that bad, but I can see how a stabiliser would help. In chatting to Jo of Sew Little Time on Twitter over the weekend, I established that Stitch Witchery is only really available in the US, so I have ordered some on Amazon. Delivery is estimated between 1st March and 1st April, so just as well I’m not in a hurry for it! 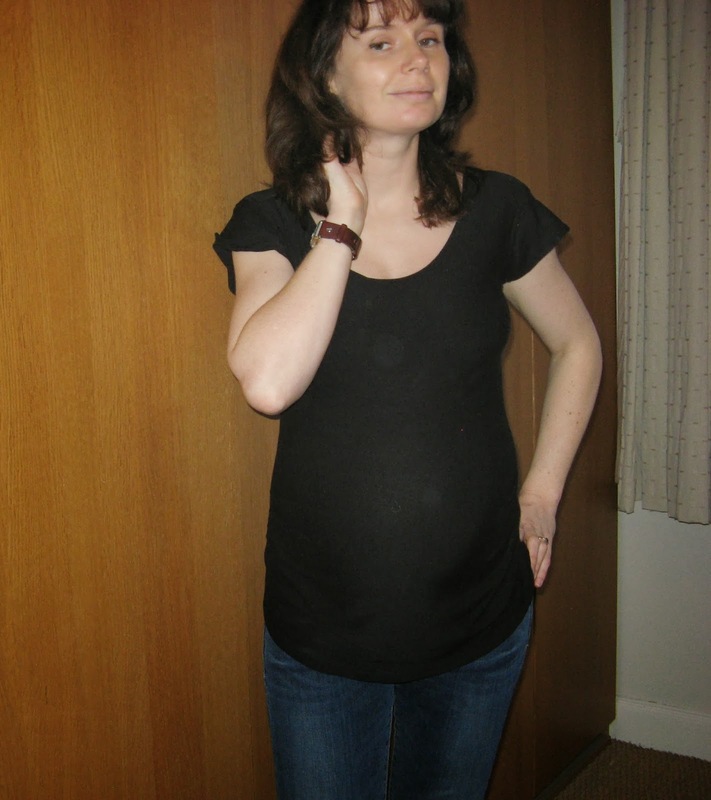 · Lengthen the back – for some reason all maternity bottoms have a really low rise at the back, and I don’t really want to flash my bum, pants or even just the giant elastic waistband at anyone. · Add a bit to the neckline, or change the shape completely. I’d like it maybe ½" higher to be fully comfortable as a scoop, or I’d like to try a bateau neckline. I also find the neckline a little wide, so again, I'd like to play around to stop it slipping and exposing my bra straps. · Something needs done with those sleeves. I actually have half a mind to exclude them completely and replace them with sleeves from a different pattern – I’m thinking the Lady Skater, which I have bought but not yet made. I do want to make a ¾ sleeve version, so not only do I need to address the sleeve head issue, but I also need to address the circumference problem, to make the sleeves slimmer in fit. · Add some detail. Buttons on the shoulder, or a little pocket or something just to change it up a bit. You an almost see the gathers here - they don't show up so well in black! I'm still uncertain about sewing with knits. They are nice to wear, but I think I will always prefer sewing with a nice stable cotton. However, I was interested to see Colette's latest project, which I think will be a must have for me: The Colette Guide to Sewing Knits. Sarai promises it will cover using an overlocker, finishing edges, industry tips and shopping for and fitting knits. I am really keen to learn more on this subject, particularly on using my overlocker, so I can't wait for this book's release. And as for the money that my parents gave me? I have ordered a swatch of this and this from Fabric Godmother. If it's stretchy enough, I think the bird print would make a lovely version of this top. 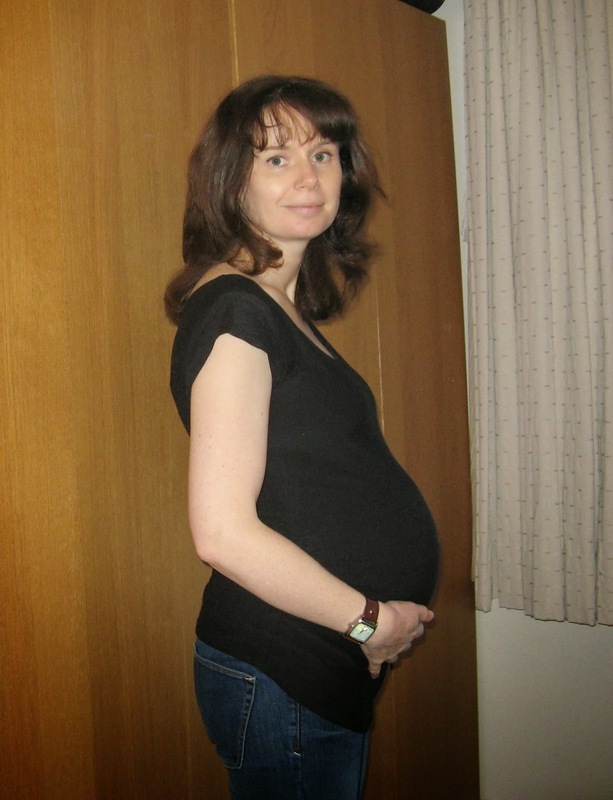 My only concern would be whether the growth of my bump would distort those little birds and look a bit weird? Maybe I could size up the middle area a bit? I’d also like a stripy version. A classic navy/white combo, or maybe something a little bit more colourful too. 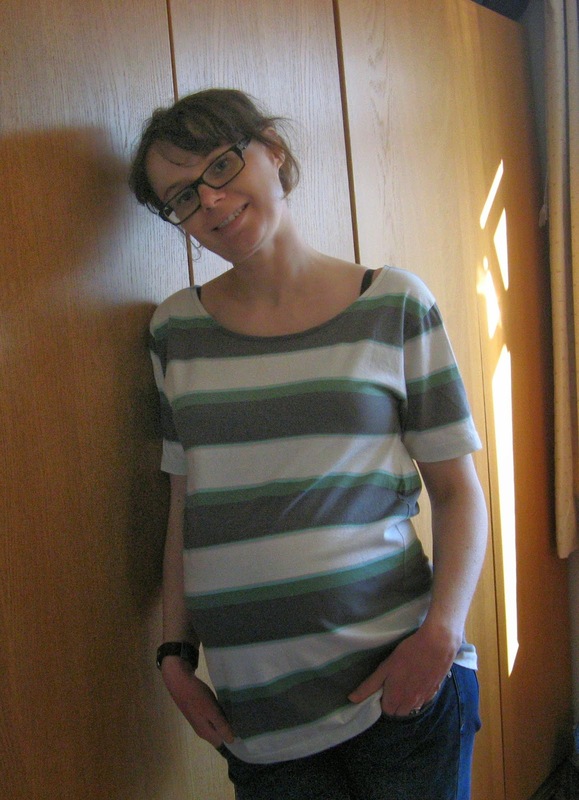 I only have 10 weeks to go, but once I sort the sleeve issue, this will be a quick and easy make – and I reckon this tee would be great for postpartum wear too. Layered over a cami, it would be perfect for feeding. I promise those are not stains on my top - must be dust on my camera lens... honest! Behold! Yet more fabric geekery! I managed to persuade the boys that this would be worth visiting later in the week. On a side note, when we told Small Boy we would be spending the day in Hawick and Jedburgh, he repeated back: "Oik and Zebra?". The Borders Textile Towerhouse was fantastic! Lots of information about the history of the Borders Textile Industry, which was a huge thing back in the day. Lots of information about the history of the tower it is partly housed in. And most importantly when you are accompanied by a 3 year old, lots of touchy feely interactive stuff. Different types of tweed. Aren't the colours stunning? "Carding" wool. Basically taking it from it's raw state to the state where you would spin it. Before washing (on the left) and after washing (on the right). The change in handle was amazing! I really wish I could have added to this! Interesting definition of the origin of the word "tweed"
An inch tape! What a lovely detail! Believe it or not, all of the above photos were taken on the first floor, which was about the industry's history. Then we moved upstairs, which was more about textile and clothing design. You can make your own knitwear, from pre-knitted components which you velcroed together on a dress form. Our attempt. Small Boy was in charge of pocket placement, and yes, the top one is upside down! The museum also had an exhibit about the history of the building, which was originally a 16th century L-shaped tower, which was extended over time and has had various incarnations between then and now. The museum also had a lovely shop (not photographed) where I bought the badge/pin for my Sew Grateful giveaway. It is well worth a visit if you are ever in the area! There is actually a Borders Textile Trail which details all the textile related things you can do in the Borders. To be honest, it is very tourist oriented and features mostly cashmere and tweed shops, which in a lot of instances will sell garments made in the Far East and potentially "finished" or "designed" in Scotland. But the mills and the museums are well worth a visit if you are ever in the area. I do realise this is a hugely photo heavy post, but I thank you for indulging me and getting this far. I hope you have found it interesting. I know I did! !